SANTA BARBARA REALTOR, BARBARA REAUME, REVIEWS THE TOP 3 COMPANIES FOR APPLIANCE SERVICING IN THE SANTA BARBARA REGION. There are three top service companies that repair, fix, install or tune-up your appliances. These three companies offer an exemplary level of service and cover a wide range of products. The top three companies in the region include DK Appliance Repair & Service, Mesa Appliance Service, and Yost Appliance Inc.
DK Appliance Repair & Service operates in both Santa Barbara and Ventura county. The company specializes in installation, repair or servicing. It also covers the major appliance brands and works on products such as refrigerators, ice machines, ice makers, stoves, ovens, range hoods, microwaves, BBQ grills, and garbage disposals. The company charges by the job and not by the hour. This means you don’t have to worry about overtime payments. Mesa Appliance Service also operates in the Santa Barbara region and Ventura county. This company offers various services worth looking into when it comes to Santa Barbara appliance repair. The company does same-day services when you make appointments and will even come to your place on weekends. You can even save $20 when you schedule an appointment online. Mesa Appliance Service works with most major brands and works with specific appliances such as refrigerators, freezers, wine coolers, ice machines, BBQs, dishwashers, microwave ovens, and stoves. Yost Appliance is one of the oldest Santa Barbara appliance repair companies of the three, started in 1969. The company services a wide range of products and brands. Some of the mentioned brands include Maytag, Kenmore, Whirlpool, Viking, Wolf, and GE. Mentioned products include dishwashers, refrigerators, freezers, washer & dryers, ovens and garbage disposals. Yost Appliance comes to your residence even in emergency situations when placing last-minute calls. These three companies all have a great reputation for excellent customer satisfaction in the Santa Barbara region. They all come highly recommended and cover many brands of products as well as appliances. Be sure to look to any of these three brands if you are in need of Santa Barbara appliance repair. DK Appliance Repair & Service has a website here. The company phone contact is (805) 205-0094. Mesa Appliance Service’s website can be found here. The contact phone number is (805) 248-5707. Yost’s website is located here. You can contact this company and set up an appointment at (805) 966-2846.
is very difficult to find someone to repair well. What you present seems to be a useful recommendation. I need more details. Thank goodness I found this article! I’ve been into a series of unfortunate events at home lately with my refrigerator and microwave both breaking down at the same time. Since I can’t afford to buy new appliances, having them repaired is the only option I got. Looks like an excellent company to go with! and having all that experience with real estate is perfect for the job. I know that I like to go to the people who know what they are talking about when dealing with something this important! I am most familiar with Yost Appliance among the companies listed here. Yost Appliance is indeed very good in terms of selling, as well as repairing different appliances. The other two companies have also gained good reputations in Santa Barbara. Thank you for your reviews Barbara. I do not live in the Santa Barbara area but these three companies that are there to fix problems with appliances sound very high quality and efficient. Sounds like they really solve problems with a broken appliance and the fact they come and fix the issues the same day is a huge deal. 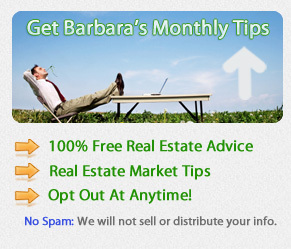 Since Barbara Reaume is a great realtor for me, I am looking forward to her recommendations. I am sure these appliance repair companies listed above are very good. Nice share! Realtors and appliance repair companies work hand in hand in providing quality service to clients. All the companies mentioned above are popular in Santa Barbara. Great review I am glad I found this article our microwave have been sitting in our garage for a while now it broke down and have not had the money to buy a new one. I will try visit one of those companies this weekend. Choosing for the most efficient appliance repair company might be a tedious endeavor to take. Hence, this reliable and proficient resource on appliance repair companies has been imparted for the public’s reference. Thank you Barbara Reaume for this practical and useful information! How romantic! Great Pictures by the way. Our Anniversary is coimng up soon, and I so want to get away from the kids and get alone time as well. And Congratulations on 6 years!